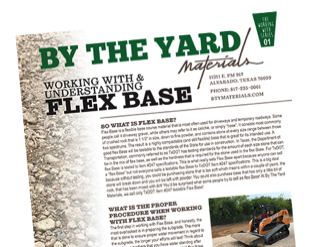 Imported from Oklahoma and available in a wide range of sizes, for a wide range of uses... 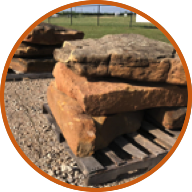 These decorative stones are placed all around our property and make a great addition to any landscape. 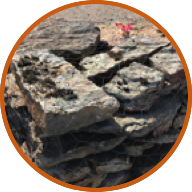 Some common uses include flower beds, stand alone focal points, and perimeter protection. 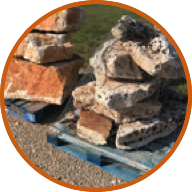 Direct from South Texas, these Limestone boulders come in a variety of hues and sizes. Again, making a great addition to any landscape. Some common uses include flower beds, stand alone focal points, and perimeter protection. 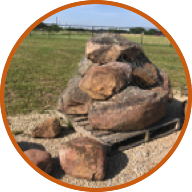 Also imported from South Texas, these boulders are primarily browns and oranges in color, and come in a variety of shapes and sizes. Some common uses include flower beds, stand alone focal points, and perimeter protection.